Well, Happy Birthday dear friend! I absolutely loved making that for you. My insecurity at messing it up was the only challenge. I'm soooooo glad you like it. I have definitely been enjoying it! I love that! I had an Christmas where my daughter and I made these for several people. My favorite is a dalmatian one we made for ourselves... and a cardinal one for my Mom. Both very meaningful to us. I am not very crafty but these were easy enough for us to do. Last year was the Christmas of the "knitting a scarf on your arm" craft. They are WONDERFUL! 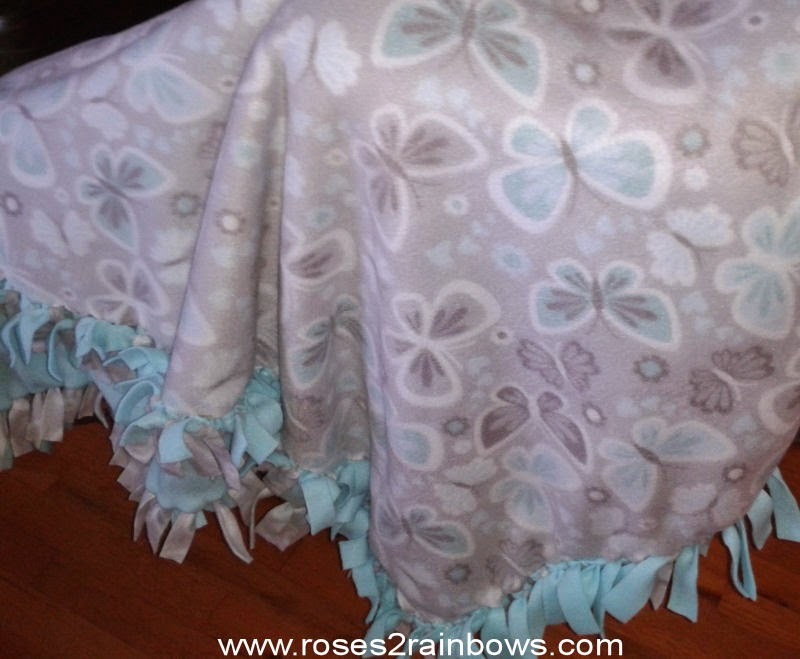 I've seen pet blankets made like this at the animal adoption places like AARF and the Humane Society. I didn't make the connection until after I got the blanket and then went to look at cats. I guess kindly volunteers make those for the kitties. Any luck with the cats? Not yet, thought we have seen some with potential. I'm just picky. I have thought about making a cat blanket using that technique (like the ones I've seen at the Humane Society.